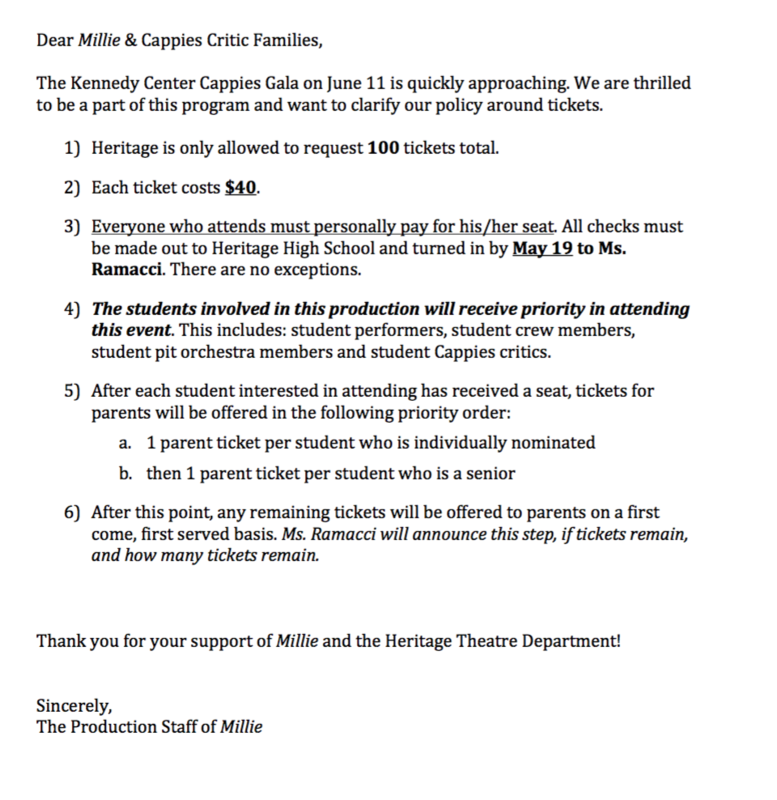 The culmination of the Cappies program is its June 11th Gala at the Kennedy Center. We encourage students to join us for the Cappies Gala on the evening of June 11th. Students must secure tickets in order to attend. Please read the message below for more details. - This is a celebration of all our hard work! - We attend the Gala, whether we are nominated or not. - Attire for this event is formal. - Tickets must be purchased by Friday, May 19.